Two Missouri officers saved the life of a 6-month-old girl whose father walked into their police station and said he had just drowned his daughter, authorities say. Greenwood police Chief Greg Hallgrimson and Cpl. Tom Calhoun rushed to a pond where the man said he had drowned his daughter Monday and pulled her out, performed CPR and warmed her up until she started breathing, said Lt. Aaron Fordham, who called the baby's survival a "miracle." 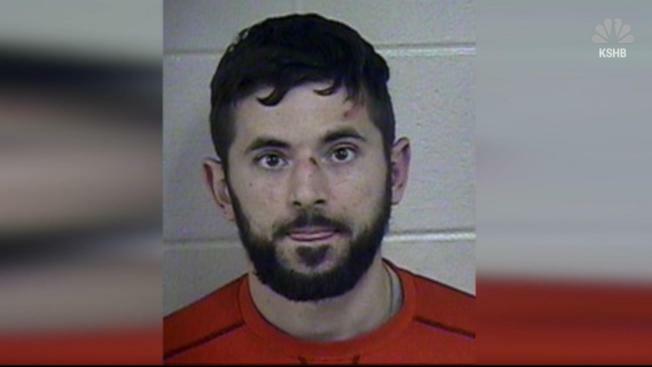 He said the father, 28-year-old Jonathon Stephen Zicarelli, showed no emotion when he stunned officers with his report that he had left his daughter in an icy pond on the west side of Greenwood, which is about 20 miles (32 kilometers) southeast of Kansas City. While Fordham stayed with Zicarelli, Hallgrimson and Calhoun ran to the pond. They found the unconscious baby floating face up, lethargic and her skin a lifeless color, The Kansas City Star reported. She had mud in her eye and grass and water in her mouth, and her lungs were full of water. Officers estimate she had been in the pond more than 10 minutes. Calhoun waded into the thigh-deep water and rushed the girl to the bank. He cleared the water from her lungs and began CPR, and the infant began breathing within minutes, Fordham said. Calhoun and Hallgrimson removed the baby's wet clothes and wrapped her in the chief's shirt to warm her. Paramedics arrived and took the child to a nearby hospital. "There was absolutely someone watching over that child today," he said. The hospital told police that the girl was stable and in good health as of Monday afternoon. She was being treated for hypothermia. "The news came down through the chain and there was a huge sigh of relief," Fordham said. Prosecutors have charged Zicarelli with first-degree domestic assault. According to the charging documents, Zicarelli told investigators that he plotted for more than 24 hours to kill his daughter because he wanted to make things easier for his wife. He also said he was stressed by the holidays and trying to provide for his family. He said he walked down to the water three times before deciding to place the child in the water and watch her sink.